This monthly blog post is where I discuss what I’ve been reading and what I’m hoping to read soon. I do this for no other reason than I’m a bit of a book geek and it’s fun to get all excited about my favourite authors. I have been on a run of absolute corkers. 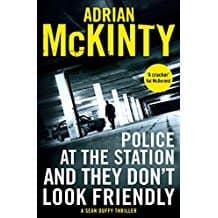 I’m a massive fan of the work of my countryman Adrian McKinty and the Sean Duffy series is some of the finest crime writing currently being produced. It is set in 1980s Northern Ireland and manages to effortlessly evoke the unique challenges of the North’s complicated politics at the time, while at the same time, having a totally fresh perspective. 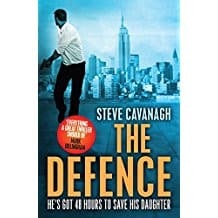 For me I think this installment of the Sean Duffy series is probably the strongest, and that is no mean feat. 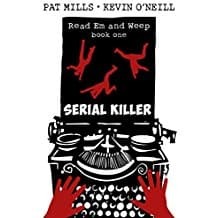 It combines real and relatable relationships with a plot that starts slowly and then slowly builds to an incredibly satisfying crescendo that I found utterly compelling. 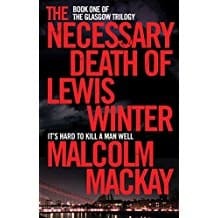 I found myself unable to get to sleep until I’d reached the end.It is possible that this might just be the last in the series – I really hope it isn’t, although wherever McKinty goes next, I’ll be eager to read. This book was my monthly effort to broaden my horizons and I’m pleased to report it is an absolute delight. All I knew about it going in was that it was a fresh take on the superhero genre. It turned out to be different to what I was expecting and all the better for it. It focused on the core principle of what it would be like for an ordinary Joe to be lumbered with the responsibility of having to take on actual powers and an incredibly difficult task. Why it really works is that you can’t help put yourself in that position. It’s not in the least bit glamorous, there are spandex costumes or snappy one-liners. This book’s great strength is oddly, how close it sticks to reality. 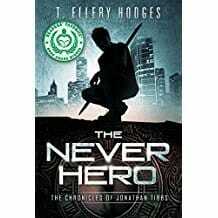 A sequel has just come out and it is definitely on my TBR list. Speaking of new takes on a well established theme, Gregg Hurwitz has managed to completely revitalise my interest in what I guess we can call the Spy genre. I’ll be honest, I tried a couple of the recent takes on James Bond book last year and I found a bit dull and smug. 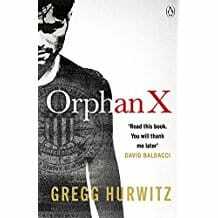 Gregg Hurwitz manages to hit many of the tropes the Bond books would but he does it with such vigour and vibrancy in the writing that this book is a joyous thrill ride. I’d be amazed if Hollywood isn’t already in a frenzy to get this film franchise off and running. Mark my words, there is no way Orphan X isn’t going to be hitting your multiplex soon. I just hope it is half as good on the screen as it is on paper. And what am I reading this month? 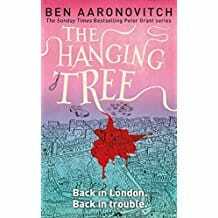 I absolutely love the Peter Grant supernatural detective series and I’m thrilled to have the next one lined up on my Kindle for the flight to Japan. This is my defence against a 14 hour flight and screaming babies – nothing will stop me enjoying this! I’ve heard great things about this book, set in the world of 1970s British comics (like actually comics – think the Beano etc). Pat Mills is also one of the creators of Judge Dredd which is an unspeakably cool claim to fame! Another of my countrymen (warning, this blog is highly biased), I heard Steve Cavanagh talking about his work on a podcast and I just had to check it out. I had a quick shufty at the sample on my Kindle and I was so absolutely hooked, I couldn’t not read the rest of it.